Earlier today I had the privilege of doing a Twitterview with the artist, Short Dawg. I may possibly be bringing you guys a ton of Twitterviews over the next week or so. They aren’t as in depth as my typical interviews but check them out on Twitter when you can. What will Elvis freshley bring to the table that you as an artist have not done already? It was rude of me to not start with the fact that your birthday recently passed. Happy BDay!. Did you do anything special? Great to hear! What inspires you to record a track? Who has given you the most useful advice in regards to pursuing a music career? You’ve released quite a few mixtapes which I encourage everyone to download. Do you have a personal favorite? if so why? 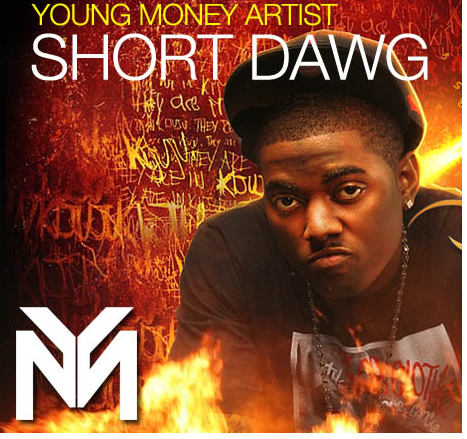 You recently put your own touch on “The Motto”, How does it feel to be a young money artist? any pressure? What are you doing when you aren’t recording? What do you think of this current miniature feud between Drake and Common? If you could work with any artist right now, who would it be? Cee-lo is a great choice. Where do you see yourself 5 years from now? What new projects are you hoping to work on in the near future? 3 adjectives that best describe you as an artist? This entry was posted in Interviews, Music and tagged Blended Entertainment, Cee-lo, Drake, Entertainment, Lil Wayne, Music, Short Dawg, Twitter, Young Money. Bookmark the permalink.